CrazyBrick the best time killer 2D game with two GameMode. 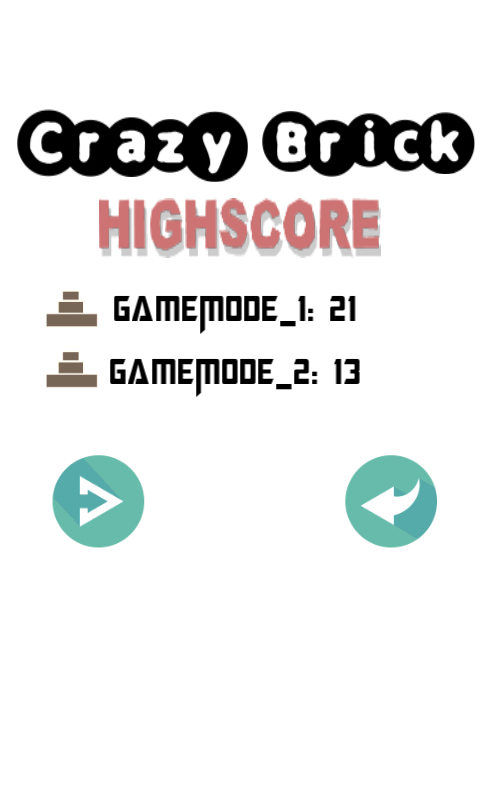 In this game you will get two mode to play. 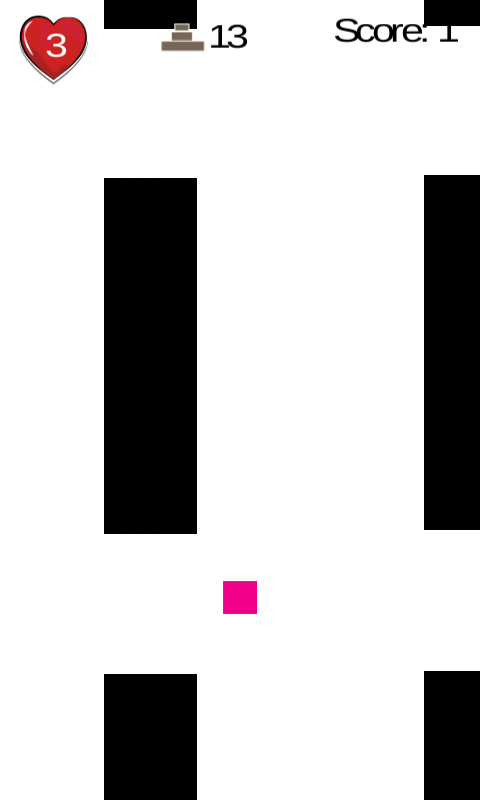 GameMode_1, in this mode you have to save the cube from falling and hitting, and have to dodge the obstacles. 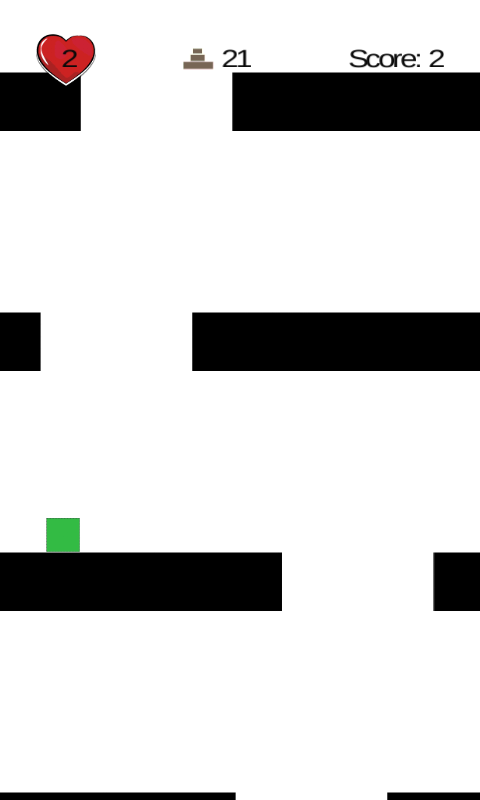 You will get One Point for dodging each obstacles and if you hit the obstacles 3 time then the player will die . 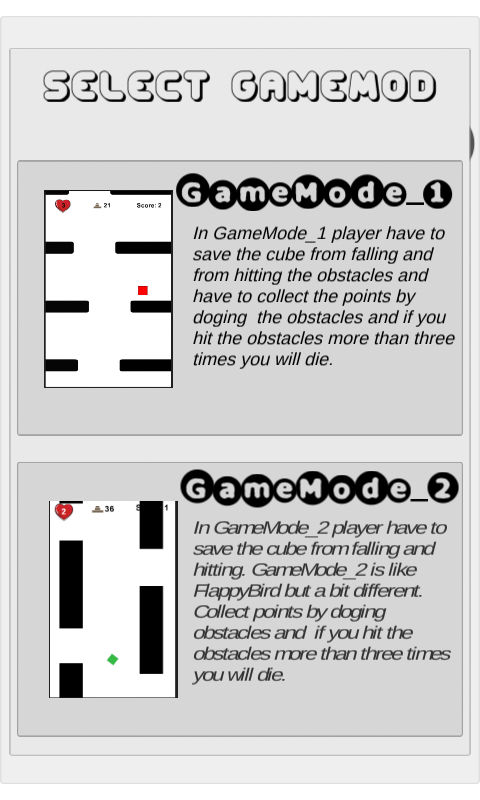 GameMode_2, In this mode you have to play like flappy bird . Tap to jump . Get Point by Dodging Obstacles.